When a marketer and illustrator get together and make babies, it’s really the perfect family business opportunity. With the combined talents of Renee and Travis Price, new t-shirt label Mister Mista hits the right style notes with super-groovy designs in very limited edition releases. 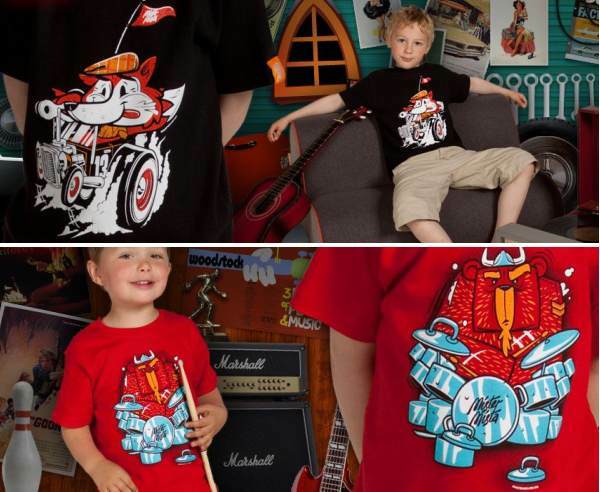 Series One is on the loose in the form of three outlandish tees which adventurous kids will delight in wearing. There’s a rockabilly fox on red, a roadie teddy on black, and a sock-eating troll on navy. Grab them before they sell out forever – they’re $40 each in sizes 2, 4 and 6 from I Want Fabulous.